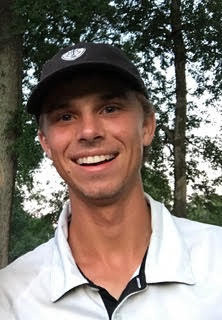 Scott Pechacek graduated from Cary Christian School in 2015 and now attends Barton College, where he plays golf. The following is a letter he wrote earlier this month. We are proud of all of our alumni who, like Scott, are pursuing excellence by cultivating the gifts God has given them. THANK YOU all for taking an interest in me and my golf career. The number of you who wanted to receive my emails blows me away, and I am so thankful to have you in my life. I consider myself super blessed to have found something I love so early in life, and I want to share my journey with as many people as possible. While many of you are not golfers, I believe the underlying principles of success are universal and I really hope to provide value to each of you. While averaging 80.5 during the first semester of freshman year at Barton College, I began learning important lessons. The main one is this: if it was easy to become great at your craft, everyone would be. Greatness requires sacrifice. I began to realize just how badly I wanted to be great at this game. As the #7 golfer on the team (only the top 5 actually travel to tournaments), I had lots of sacrifices to make to get better. In retrospect, this season of my life was extremely important because I developed a drive and work ethic that didn’t depend on results. I fell in love with the process of improving, regardless of the “scoreboard.” I didn’t care if I was travelling to tournaments yet, because I simply loved practicing. Fast forward to my junior year (last year), and I was named to the All-Conference team and my teammates voted me as our team MVP for the season. During this year, I started to really believe in myself and my abilities as a golfer. I decided that I want to do whatever it takes to play this game professionally, ultimately on the PGA Tour. That brings us to my senior year. So far we have played two events. Last week in St. Augustine, FL, I shot 75-76-73 to finish tied for 44th out of 84 players. As disappointing as it was, I knew I was playing better than the score reflected. In preparation for our team’s next event, I tied my career low round shooting 60 (-11) at Willow Springs Country Club here in Wilson. This was a non-competitive round on an easy golf course, but I know it’s only a matter of time until I bring that same play to tournaments. This week in Myrtle Beach, I shot 70-72 to finish Tied for 6th out of 81 players – definitely a step in the right direction! Our next event takes place October 22-23rd, so we have some off time to get back to work. Thanks again for taking an interest in my journey. I want to leave you with this poem by Beth Moore – it’s a great read for anyone, but especially if you are a competitor like myself. because you are already too full of you to forgive.